David Pohl was born on December 31, 1921, in Boston, Massachusetts. He enlisted in the U.S. Army Air Corps on January 13, 1940, and was trained as an aircraft gunner. Sgt Pohl was the Gunner on the eighth B-25 to take off from the aircraft carrier USS Hornet on April 18, 1942, and after bombing its assigned targets in Japan, the crew landed their aircraft in neutral Russia, where they were interned until escaping in May 1943. 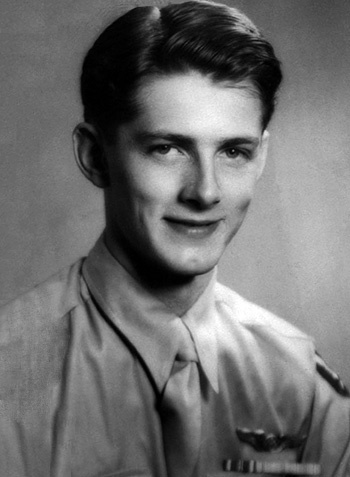 After his return to the United States, Sgt Pohl was accepted into the Aviation Cadet Program and was commissioned a 2d Lt and awarded his pilot wings on August 4, 1945. 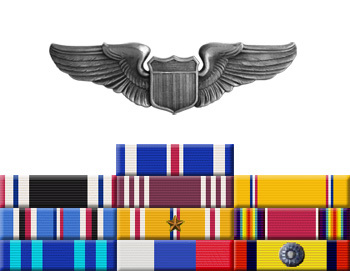 He served with Training Command and Caribbean Defense Command before leaving active duty on December 23, 1947, shortly after the creation of the U.S. Air Force. David Pohl died on February 18, 1999. His remains were cremated and his ashes were scattered in the Pacific Ocean. For extraordinary achievement while participating in a highly destructive raid on the Japanese mainland on April 18, 1942. 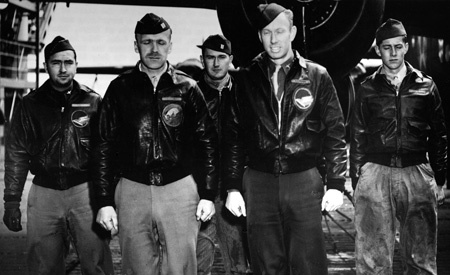 Corporal Pohl volunteered for this mission knowing full well that the chances of survival were extremely remote, and executed his part in it with great skill and daring. This achievement reflects high credit on Corporal Pohl and the military service.